Involve the community in assuring quality education for the leaders and workers of tomorrow. 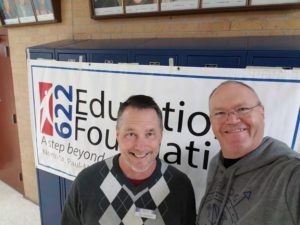 Please join us for our 622 Education Foundation Board Meeting on Tuesday, May 7th, from 5-6 p.m. at the District Education Center in North St. Paul. We encourage you to come learn more about us and guests are always welcome! Questions? Contact us at admin@622educationfoundation.com or call 651-242-1840.